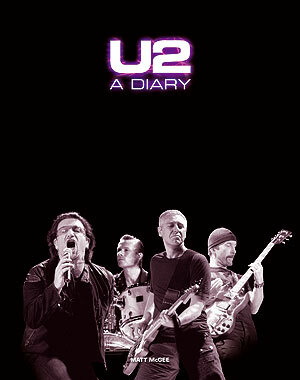 I’m noticing that the Amazon UK sales page for U2, A Diary now lists October 8, 2008, as the publication date. That used to show September 8th. And now the Amazon.com sales page also says October 8th, where previously it didn’t have a date listed. Yet, just four days ago I checked in with Omnibus about the schedule and Chris (my editor) said, “We are still aiming for a September publication.” I’m going with Chris’ target as the accurate one. It’s funny — in all the years of doing @U2 news, and trying to get copies of books in advance so we could review them, there was almost never any agreement between the publisher and the book stores (Amazon, Barnes & Noble, etc.) about when a book would be published. I don’t know enough about the publishing industry to understand why it’s like that…. Matt, looking forward to seeing some book samples when you have them. Onw question I forgot to ask before is, what is the last date in the book ?